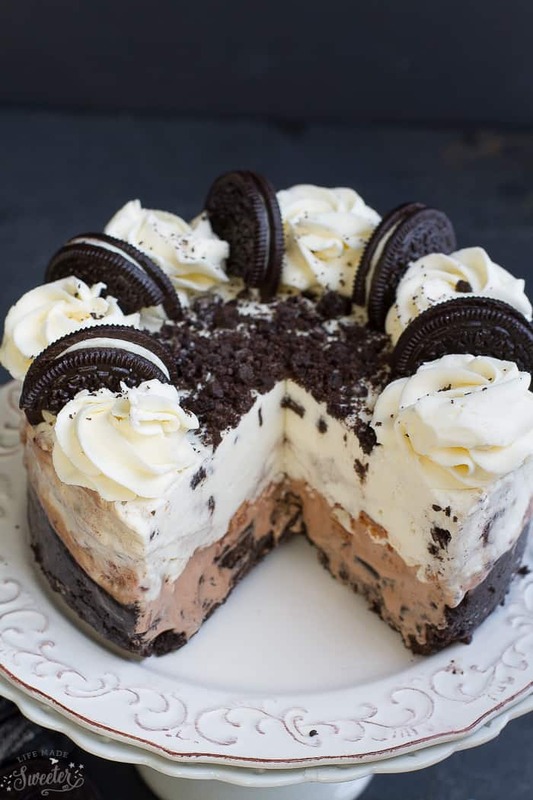 Cookies and Cream Oreo Ice Cream Cake is the perfect no bake summer birthday or celebration cake. 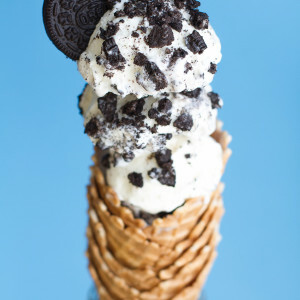 Best of all, it’s loaded with rich & creamy vanilla and chocolate ice cream, a layer of Oreo cookies, Tim Tam chocolate biscuits and whipped cream. Ice cream is my absolute favorite way to celebrate any summer birthday. Mint Chocolate – you can have a different one for just about any day of the week! We never got ice cream cakes for our birthdays when we were younger so I’m totally making up for it now. 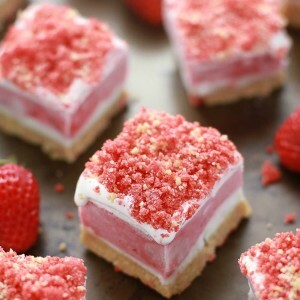 Luckily, they aren’t very hard to make at all so why not make one for yourself and save the trip to Dairy Queen or Baskin Robbins. 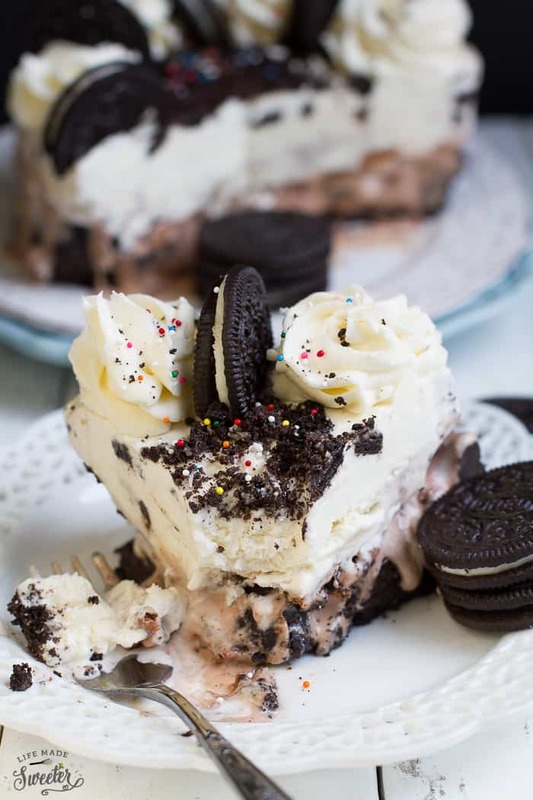 This Cookies and Cream Oreo Ice Cream Cake is a classic favorite with everything you love about cookies and cream in a dreamy frozen dessert. 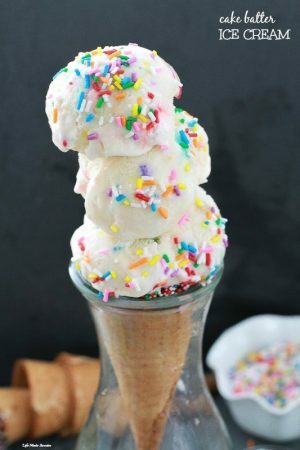 You can use either homemade or your favorite storebought ice cream. And the best part though? This recipe works great if you want to make it ahead of time. 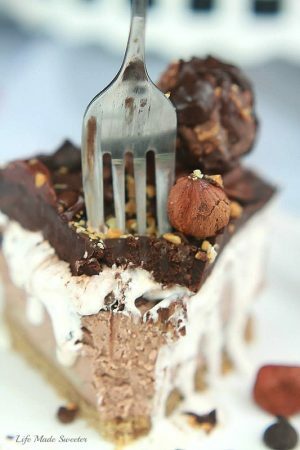 Once the cake is assembled – just wrap it up loosely with tin foil and store it in your freezer prior to decorating it. Start off by setting out the chocolate and vanilla ice cream on the counter until they get nice and melty. Press the finished crust gently into the bottom and the lower sides of a 6″ springform pan. 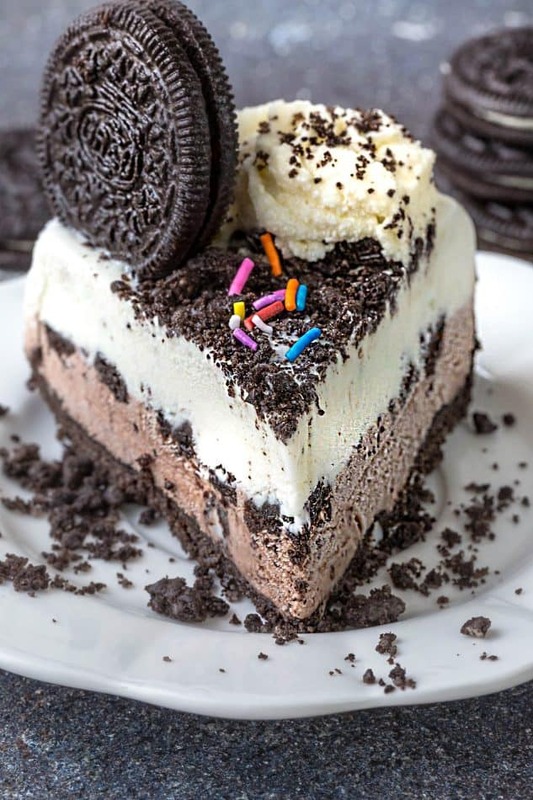 Fold in some crushed Oreo cookies with the chocolate ice cream, then spread it over the Oreo crust. What makes this cake extra special? 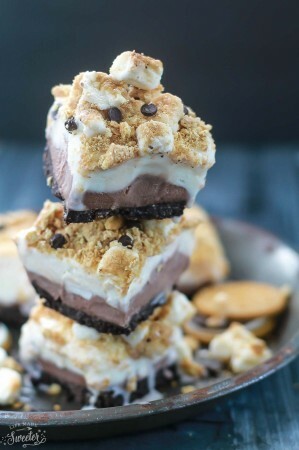 There’s a delicious layer of Tim Tam biscuits between the chocolate and vanilla ice cream.They add a delightful chocolatey crunch and really complement the cookies and cream flavor. Finally, spread the vanilla ice cream over top and park the cake in the freezer for a few hours or overnight to set up. 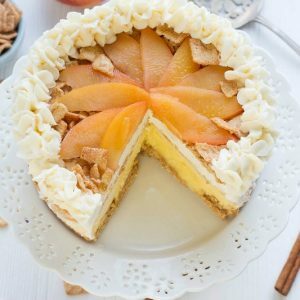 When you’re ready to serve it, spread a thin layer of freshly whipped cream or your favorite whipped topping and pipe on some rosettes. Throw on some more crushed cookies in the middle and arrange the whole Oreo cookies in a circle. 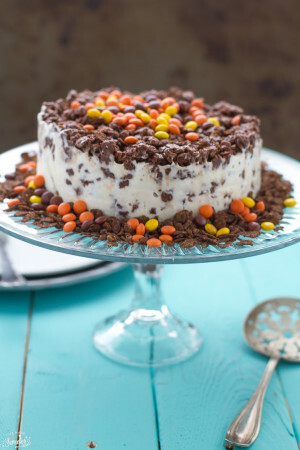 Finally add a handful of sprinkles just for fun and grab your fork. 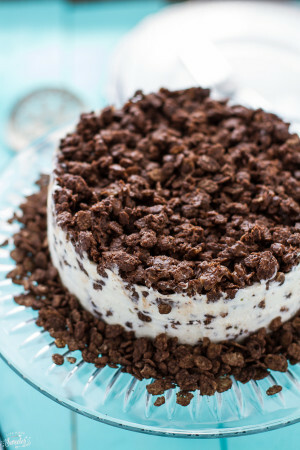 A rich and creamy double layer Cookies and Cream Ice Cream Cake, loaded with Oreo cookies, Tim Tam chocolate biscuits and whipped cream. 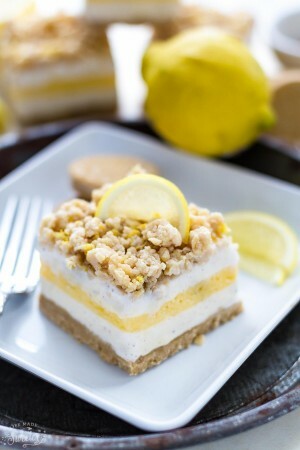 Perfect for a summer birthday celebration! 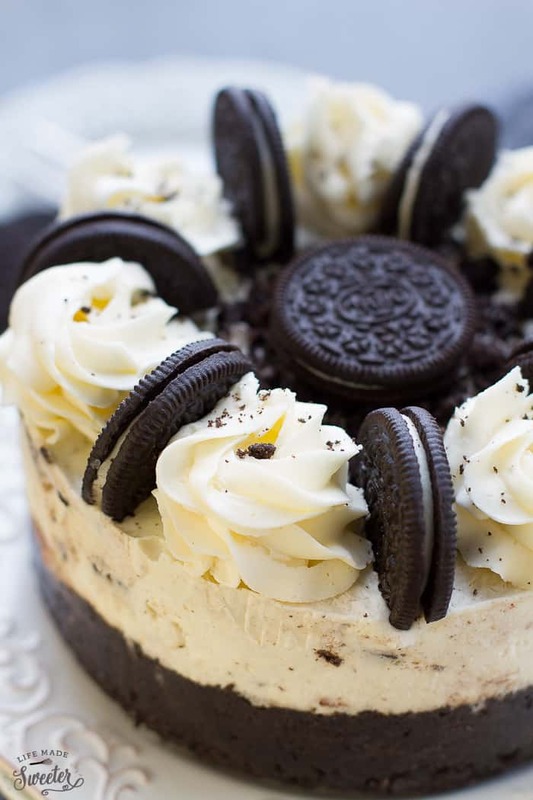 Make the cookie crust - In the bowl of a food processor, add the entire Oreo cookies (no need to remove the cream filling) and pulse into fine crumbs. Add the milk and melted butter and blend until well combined. Press mixture into the bottom and sides of a 6" springform pan. Place in freezer for about 30 minutes - 1 hour to set. Take out the chocolate ice cream to soften (about 20 - 30 minutes) and stir occasionally until smooth and spreadable. Stir in half of the crushed Oreo cookies. 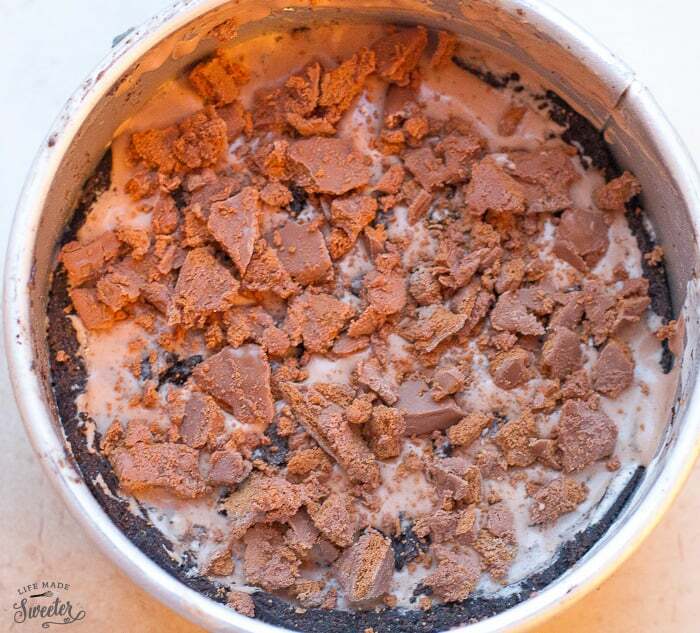 Spread chocolate ice cream evenly over the cookie crust using an offset spatula if needed. Top with crushed Tim Tam biscuits if desired. 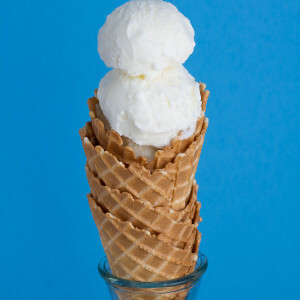 Place in freezer to harden for about 20 minutes while taking out the container of vanilla ice cream to soften. Once softened, mix in the other half of the crushed Oreo cookies. Spread evenly to make the top layer. Return to freezer and allow to set for at least 2-3 hours, or ideally overnight. When ready to serve, let the cake sit at room temperature for about 3-5 minutes, and run a knife around the inside of the cake pan. 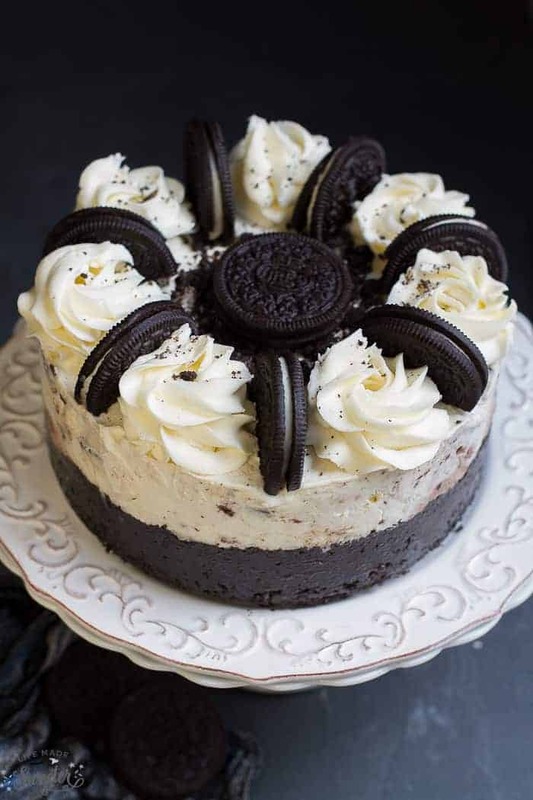 Open the springform mold gently; it should release easily from the slightly melted cake..
Before serving, spread a layer of whipped cream frosting over the ice cream, pipe on rosettes if desired and arrange Oreo cookies in a circular design. 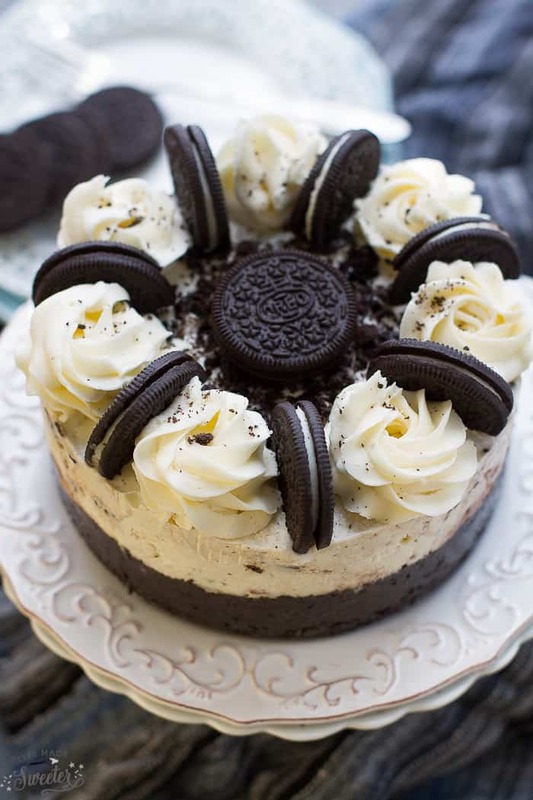 Crumble any leftover cookie crumbs in the middle of the cake and place an Oreo cookie on top. Top with sprinkles if desired. Return to the freezer to set up for about 15 minutes or serve immediately. In a chilled bowl, beat the cream until frothy. Slowly add the powdered sugar and vanilla while beating. Whip until light and a thick enough consistency to spread as an icing. **If you want to make a 9" cake instead, just increase the amount of ingredients by 1.5.